In a moment of madness the EU has sought to quietly scrap the UK’s zero VAT rating on new homes in a move to standardise tax rates across Europe. They really know how to create a purfect storm. A consultation document has been issued that proposes bringing in a standard 20% VAT on all new-build homes. BOOM goes the UK housing market if this one goes ahead! Fundamentally this will either raise the cost of new build houses by 20% (not possible the banks won’t lend), reduce the cost of land by 20% (not a bad outcome but land supply is likely to suffer and most land is already committed at existing prices), developers profits drop to zero (if that happens no one will build at all) or drop the quality of new build houses by 20% (the most likely outcome and not in anyone’s interest and certainly not the environments!) The reality would probably be a bit of all these outcomes. 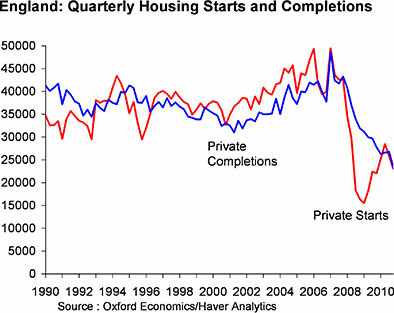 Either way the house building industry goes BOOM. Here’s hoping the politicians see sense. If your thinking of building a house we suggest you consider doing it sooner rather than later. We are here to help. This entry was posted on Saturday, November 3rd, 2012 at 5:23 pm and is filed under Houses, News. You can follow any responses to this entry through the RSS 2.0 feed. Both comments and pings are currently closed.